It is essential for anyone that drives an automobile to remember to do so with caution and only at a speed that enable the driver to keep the car under control. Not doing so could land you with hefty fines. Speed limits and their associated fines are imposed to help regulate appropriate traffic speeds for safety, accessibility, and environmental reasons. What is the speed limit in Germany? In Germany, the town speed limit is 50km/h. However, there’s no national speed limit for vehicles on the highways (especially those that have a central reservation or a minimum of two marked lanes per direction). However, drivers should adhere to a recommended advisory speed limit of 130km/h on such highways. Indeed, everyone enjoys the euphoria derived from cruising down the highway in a sleek automobile, while listening to your favorite style of music. Sometimes you turn up the volume and lose consciousness of the stipulated speed limit. Just when everything seems perfect, you get pulled over by the shrieking sound of a siren, and before you know it, a police officer has issued you have with an automobile speeding ticket. How dreadful is that? And just when you think things can’t possibly get worse, you get an outrageous fine for speeding. When drivers refuse to adhere to such laws, the law will penalize them for their actions. Some face losing their license or paying a huge fine for violating speed limits. Some countries have jail terms for violators while some impound the vehicles. 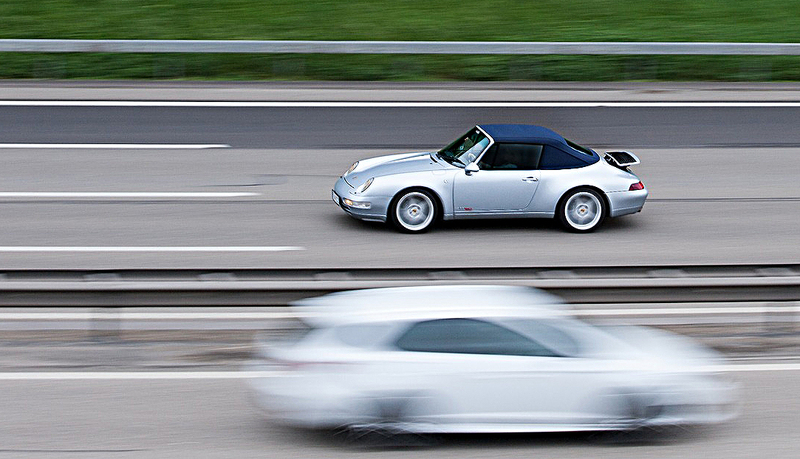 The amount of the fine issued for speeding varies in different parts of the world. Some of the countries known for issuing expensive speeding tickets to drivers include Finland, Switzerland, the United Kingdom, Canada, and the United States of America. The United States of America is known for its expensive speeding tickets. Georgia is one of the states to watch out for as individuals that violate the speed limit for the first time are likely to pay a maximum of $1000 per speeding tickets. Such people may also end up doing a 1-year jail term. Besides Georgia, Virginia is another state to demand caution while driving as its residents are likely to be issued a $3000 speeding ticket for violating speed limits. A more lenient state in the US is North Carolina with a speeding ticket fine of $1000 and a possible 60 days jail term. The maximum speeding ticket fine is also $1000 in New Hampshire and Nevada, though without any possible jail time. Canada is also known for expensive speeding fines. People are likely to be issued a $10,000 fine for violating speed limits. The highways in Canada are often free to cruise on. However, you are likely to pay as much as $25,000 Canadian dollars if you don’t drive within the country’s speed limit. Worst of all, if you drive too fast, your vehicle might be permanently confiscated. In Canada, each province and state have specific penalties for offenders. You don’t want to be caught speeding in Ontario or Alberta because if you happen to get caught, you must be ready to pay big bucks. United Kingdom: $4,643 speeding ticket for an auto driver on a cell phone. In 2007, police caught the businessman Ronald Klos on camera talking on his cell phone while driving at a speed of 156 mph. The largest speeding tickets issued in Finland came to $58,000 and $103,000 respectively. In a similar fashion to most EU countries, Finland calculates speeding tickets based on an individual’s income. A victim of such an exorbitant speeding fine was Reima Kuisla. Police caught him driving over the speed limit by an additional 15mph. Because the offender earns 7 million dollars annually, authorities issued him a speeding fine of almost $60000. Also, the former director of Nokia phones managed to avoid paying a $103000 speeding fine after police caught him violating the speed limit in Finland. Anssi Vanjoki claimed to earn less than what the Finish authorities credited to him. He eventually had to pay 95% of the speeding ticket. $217,000 and €80,000 speeding fines issued in Finland: If you plan to violate speed limits in Finland, then you need to have the financial means to pay the fine. Finland uses a specific system to calculate the speeding fine that they issue to an offender. The law stipulates taking an offender’s daily earning estimate and dividing it in half; this provides an estimate of the amount of spending money the offender will part ways with when they pay the fine. The fine eventually issued to an offender depends on the severity of the crime. In the year 2004, authorities issued Jussi Salonj a speeding fine of $217,000 for violating speed limits. The millionaire who earned $7,000,000 annually was able to pay for the speeding ticket. Ironically, the penalty for violating such speed limits would have been more severe for him if he had been poorer. Another speeding fine was issued to Jaako Rytsola in Finland for not driving within the speed limit. He paid a huge sum of €80,000 Euros. Shockingly, police issued a $290,000 speeding fine to a Swiss millionaire. This particular Swiss millionaire who appears to have had an addiction to violating traffic rules. In this particular instance, authorities issued him an exorbitant fine for wrecking a village. Additionally, he broke the speed limit by 50mph. Authorities caught the repeat offender in the act while he was cruising in his Ferrari. Police issued him with a huge fine because of his annual income. On a different occasion, police issued a $1,000,000 speeding fine, also in Switzerland. Switzerland is another country that issues speeding fines based on the annual income of the offender. One of the biggest speeding fines of all time is undoubtedly this one million dollar fine issued by the Swiss authorities. 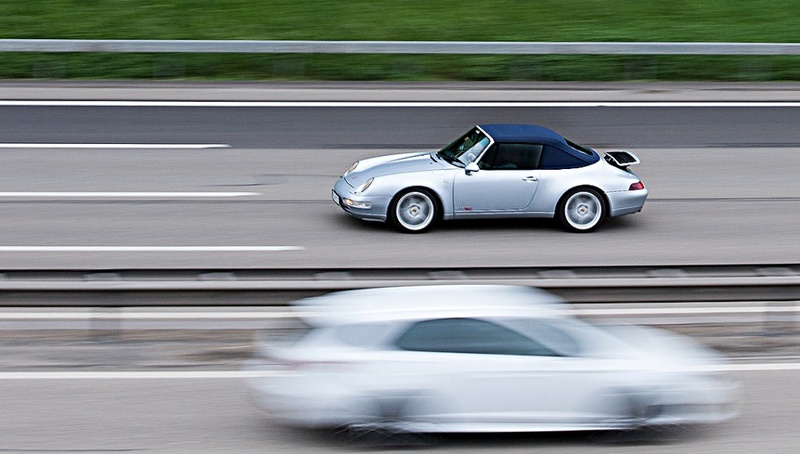 The Swiss have strict speeding penalties for offenders; they don’t take it lightly when people, especially millionaires, violate traffic rules or speed limits. Police caught a Swiss driver in the act of hitting 186mph in an SLR Mercedes Benz. Consequently, this fast and furious enthusiast managed to land himself a one million dollars speeding fine. On another occasion, authorities impounded Michael Perridon’s Buggati Veyron when they caught his son driving at twice the stipulated speed limit (50mph) in Rotterdam. Indeed, youthful exuberance may sometimes land you in big trouble. The penalty for such an offense is the permanent confiscation of the automobile. You can only imagine the car owner’s fury as his vehicle is a limited edition. Words can’t describe how infuriated his dad was when he heard police had impounded his car. Considering the value of the car, this makes this one of the biggest speeding fines ever issued. Police confiscated another expensive automobile in Australia, in 2010. Authorities confiscated a Lamborghini when the driver drove over the stipulated speed limit. To make matters worse, it was the mechanic that violated the speed limit while taking it for a spin. It took the car owner some time to have the vehicle returned to him; no one is certain if he had to make a specific payment before the vehicle was released. There you have it! These are some of the biggest speeding fines ever issued and recorded in different parts of the world.